Eliza Henry-Jones is a writer from the Dardenong Ranges in Victoria. She was a Young Writer in Residence at the Katharine Susannah Prichard Writers Centre in WA in 2012 and a resident at Varuna in the Blue Mountains in 2015. Her debut novel In the Quiet is published by Fourth Estate. You can read my review of it here. 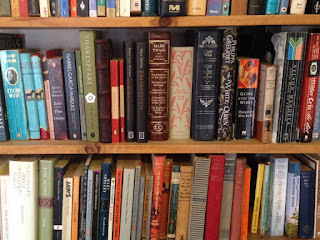 The problem with being a book loving hoarder who marries a book loving hoarder is that, at ages twenty-five and twenty-six, we currently have well over three and a half thousand books in our house. Some on this massive shelf, others on one of the other five smaller shelves, and others packed (sadly) into boxes. We’re currently in the midst of packing to move, and 90% of what I’m packing is BOOKS. And I keep trying to stop myself buying more and jump on the ebook wagon, because on the current trajectory I’m on, books will soon outweigh the mass of our actual house. When we moved into our house, we had to insulate, plaster, put flooring down and paint the room where the bookshelves now are. It’s probably the nicest room in the house. 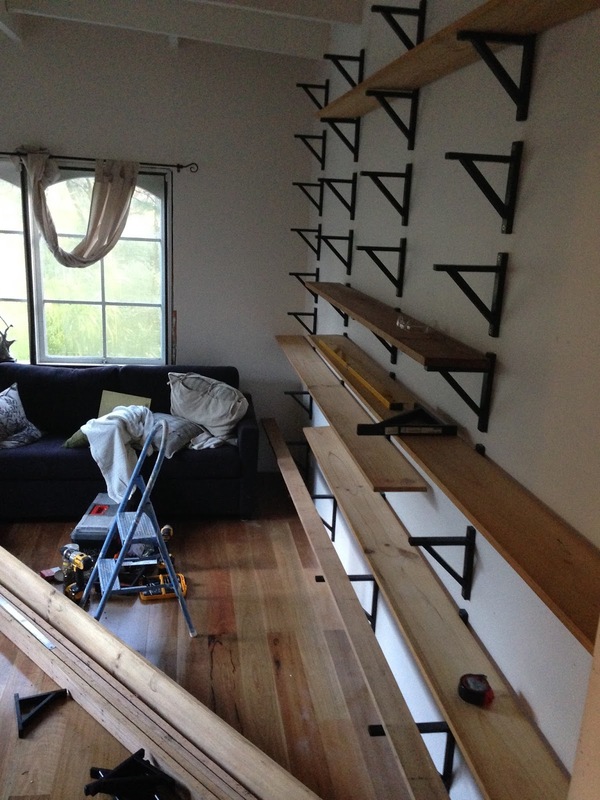 The shelves are recycled timber, which is even nicer. We put in the floor to ceiling shelves last year. I had grand ideas of separating into genre and alphabetising. Ha. HAHA! I was so funny back then. Our organisation is thus: fiction on the left, reference on the right, with classics and memoirs and misc somewhere in the middle. 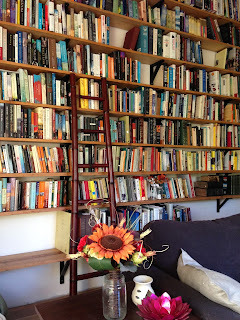 Here are some of books in the miscellaneous middle section of our shelves. A mix of store brought, gifts, hand me downs, op-shop finds and books from studying literature at uni. 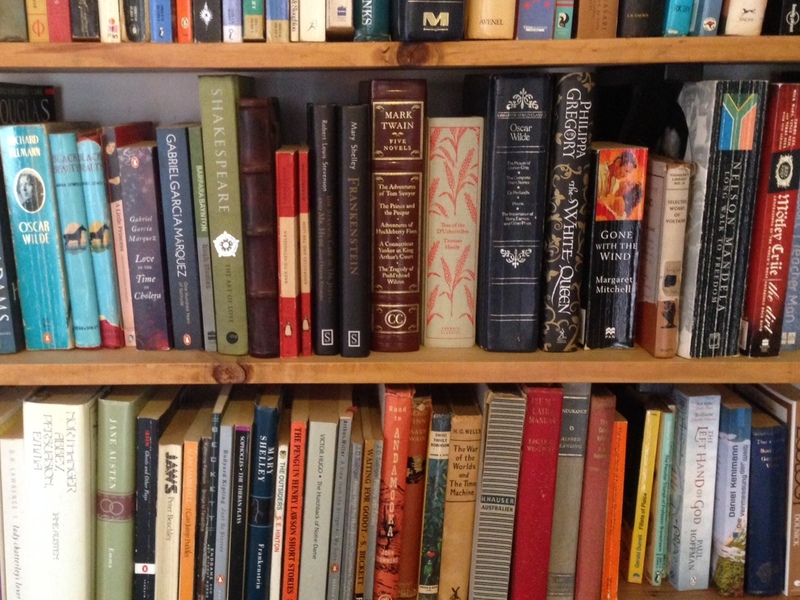 We have a very eclectic mix of books, from contemporary pop fiction to literary classics. We also have a massive amount of biology, horse and psychology reference books and literary journals. 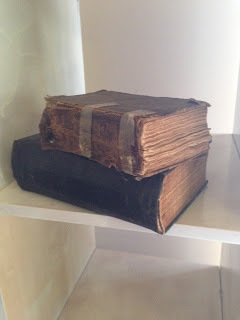 A lot of our books have been passed down from our parents and grandparents. Some of them are quite old and delicate. And that’s a very wonderous thing. 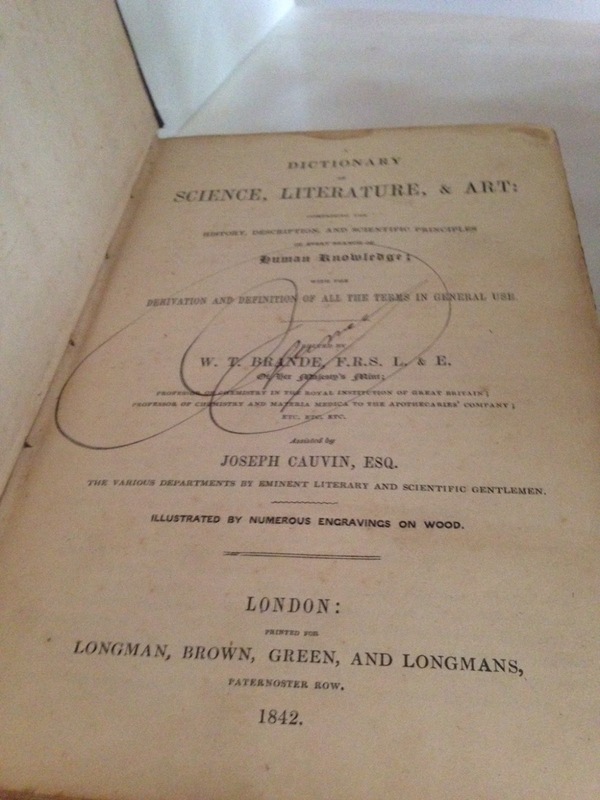 Below is "Modern Cookery" by Eliza Acton (book on top) published in 1850 and “Science ,Literature and Art” published in 1842. 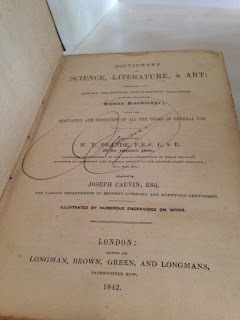 Note below “illustrated by numerous engravings on wood” and written by “Joseph Cauvin, Esq. - the various departments by eminent literary and scientific gentleman”. It really hits you how much publishing has changed over the past 173 years. I also have a vast collection of Young Adult and Children’s books, including an impressive collection of The Saddle Club and the Jill series. Which I still read. Reading is like eating for me - sometimes I read because its good for me, even if I don’t really enjoy it. But sometimes it’s just the most lovely thing in the world to comfort read childhood favourites (in the same way one comfort eats an entire tub of ice-cream). 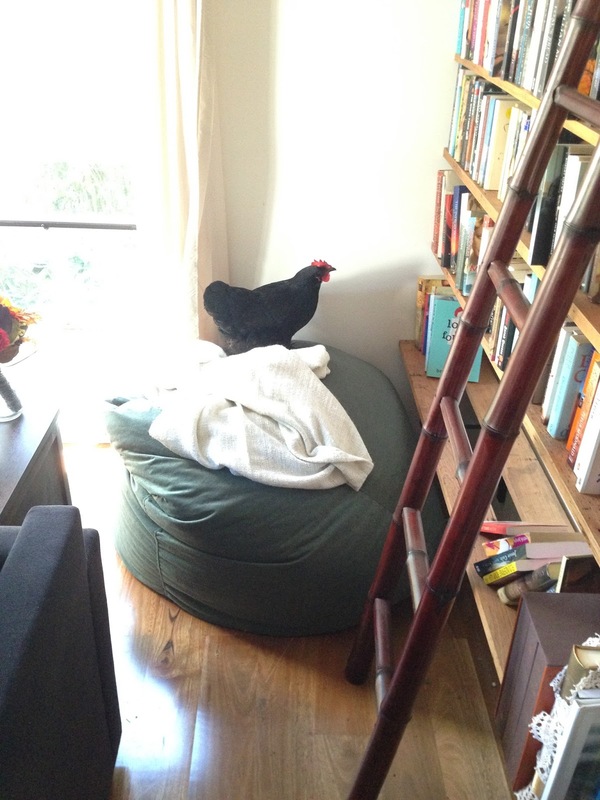 Here’s a picture of my chicken checking out “Lost and Found” by Brooke Davis. This is one of my favourite pictures in the world. Thanks for the tour, Eliza! You can grab a copy of Eliza's book In the Quiet in all good bookstores now. Remember, support your local indie bookshop. Saturday August 8th is National Bookshop Day!